The testo 316-EX gas leak detector helps you detect gas leaks. Gas verification and gas leak location can be carried out on gas pipes and installations both indoors and outdoors. When house owners notify the network operator or fitter that they can clearly smell gas in the house, a highly explosive gas concentration may already be present (4–17%). The fitter has to use a gas detector to check sections of gas pipes for leak tightness to locate possible leaks. The testo 316-EX gas leak detector offers EU ATEX protection (ATEX approval 94/9/EC). 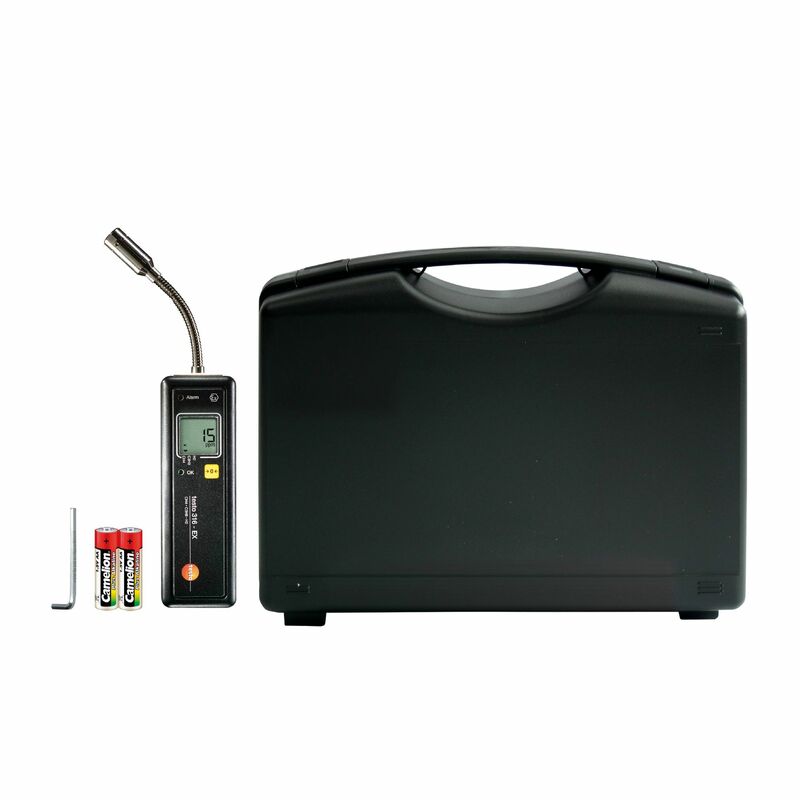 Use the multi-range gas detector to detect methane, propane and hydrogen gases. 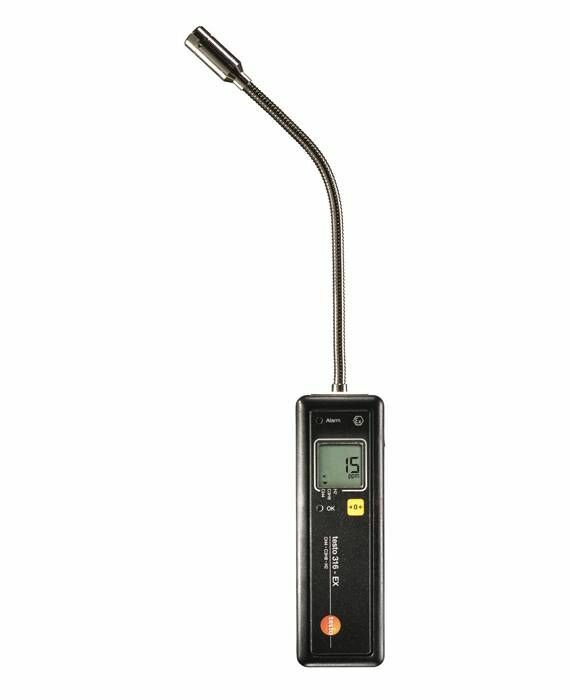 The gas concentrations are measured in the ppm range with a semiconductor sensor and are shown on the display with a resolution of 1 ppm. Flexible measuring probes mean you can search for leaks even in inaccessible areas.